Powderhorn’s saltwater wetlands also offer important, year-round habitat for shorebirds, wading birds and waterfowl. Elsewhere, extensive woodlands and freshwater wetlands provide critically important “fall-out areas” for migrating songbirds, particularly during spring migration when, exhausted from their flights across or around the Gulf of Mexico, birds use these areas to rest and refuel. The Conservancy plans to conduct extensive wildlife and plant surveys on the ranch, which will undoubtedly become a haven for bird watchers, as well as people interested in fishing, kayaking and canoeing. The ranch also includes a unique geologic formation called the Ingleside Barrier, which supports unique plant life such as the seacoast bluestem and Texas coastal bend live oak. And it enjoys several miles of Matagorda Bay frontage—the bays and flats along that shoreline are important nurseries for a variety of fish and shellfish, including brown shrimp, redfish, spotted sea trout and blue crab. 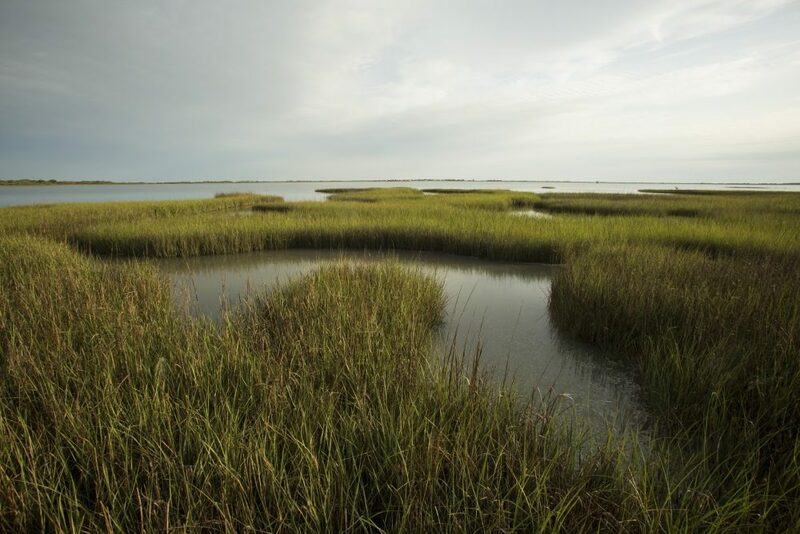 The National Fish and Wildlife Foundation funded a significant portion of this at-scale conservation project using fine money resulting from the Deepwater Horizon oil spill. The Texas Parks and Wildlife Foundation has played a lead role in securing that funding, and will continue to raise money to support habitat restoration and management and create a long-term endowment. As the easement-holder, the Conservancy will play a key role in restoring areas that have been overgrazed or over-run with invasive species. The Conservancy turned full ownership of Powderhorn over to the Texas Parks and Wildlife Foundation in 2016.